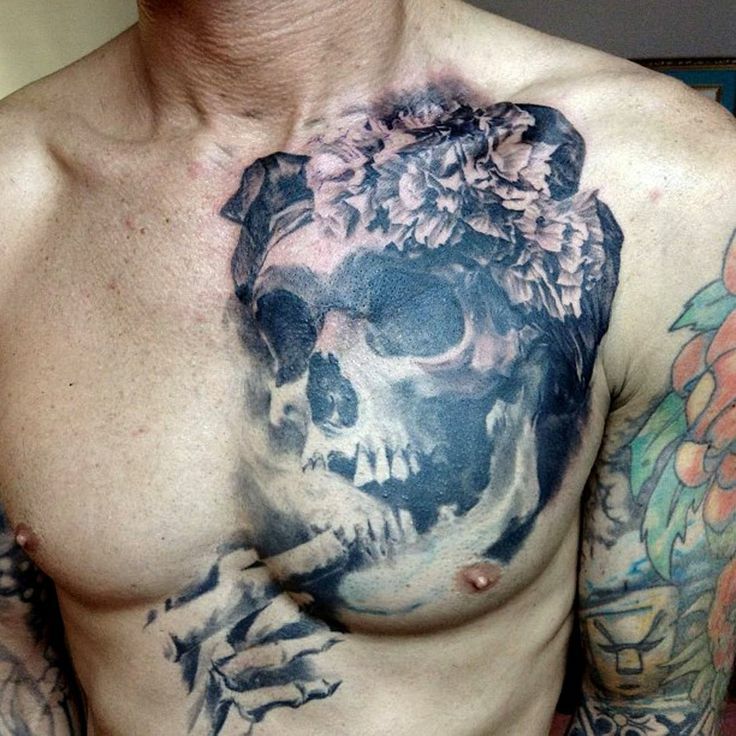 So, are you looking for chest tattoos for men? If so, you’re very lucky, since it’s one of the most liked parts of the body when it comes to tattoos. 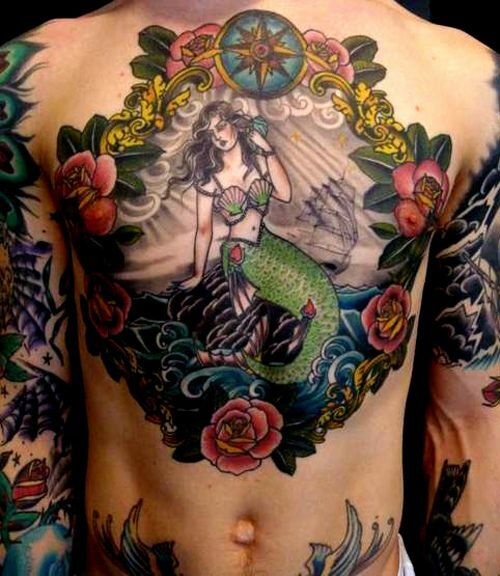 There isn’t one parlor out there which doesn’t undertake a tattoo for the chest: of course, it’s highly recommended to look carefully for an experienced and likable tattooists, who can make the ideal art for you. A lot of people made a mistake over the years by not searching thoroughly, which resulted in countless of bad tattoos. You don’t want a tattoo which look bad, do you? 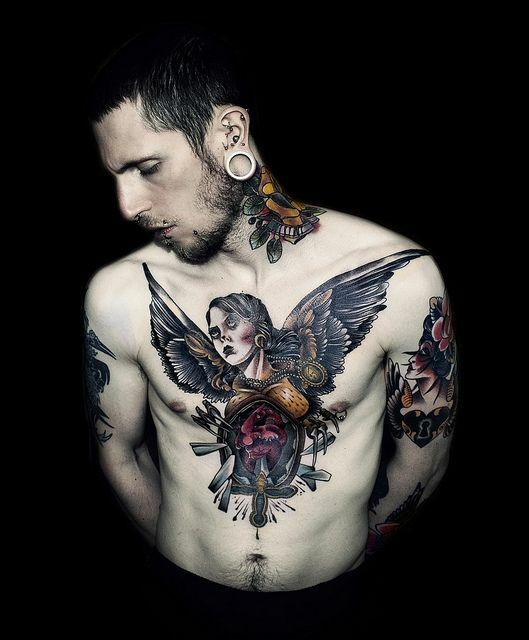 Chest tattoos for guys can look extremely cool, but only if you get it at the right place, so you shouldn’t hurry too much. 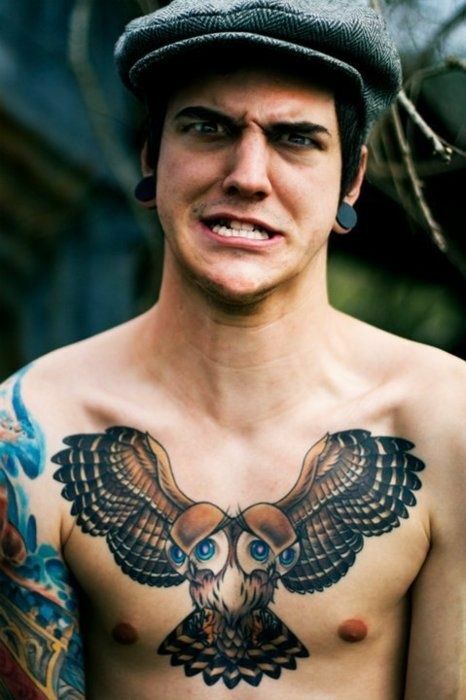 Chest tattoos for men are becoming more and more popular nowadays. 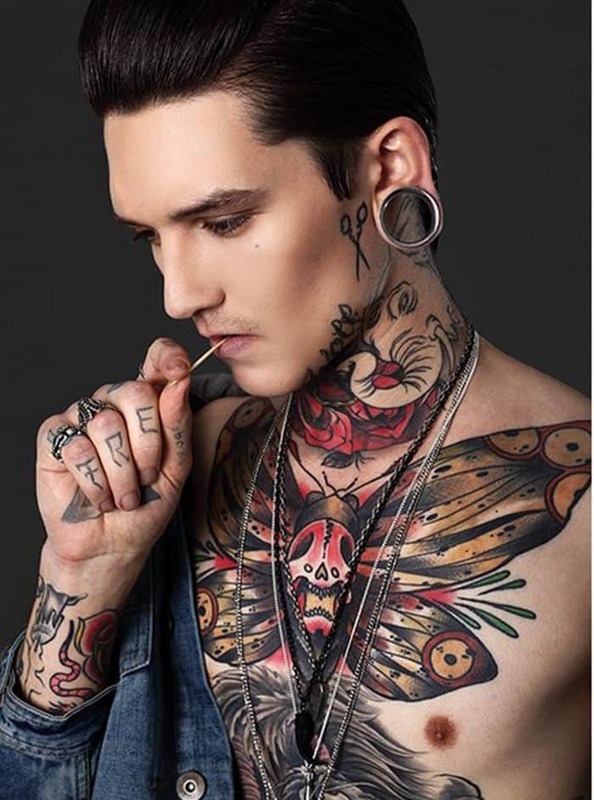 Thanks to the talented tattooists, lot of men get interested in making a tattoo for themselves, since they recognize that body paintings can be really cool. This part of the body is quite ideal for tattoos, since it offers a much bigger surface than the arms of the feet. Depending on the size and other properties, some tattoos cannot be done on any part of the body. Even if it’s possible, it’s never guaranteed if it will look good or not. 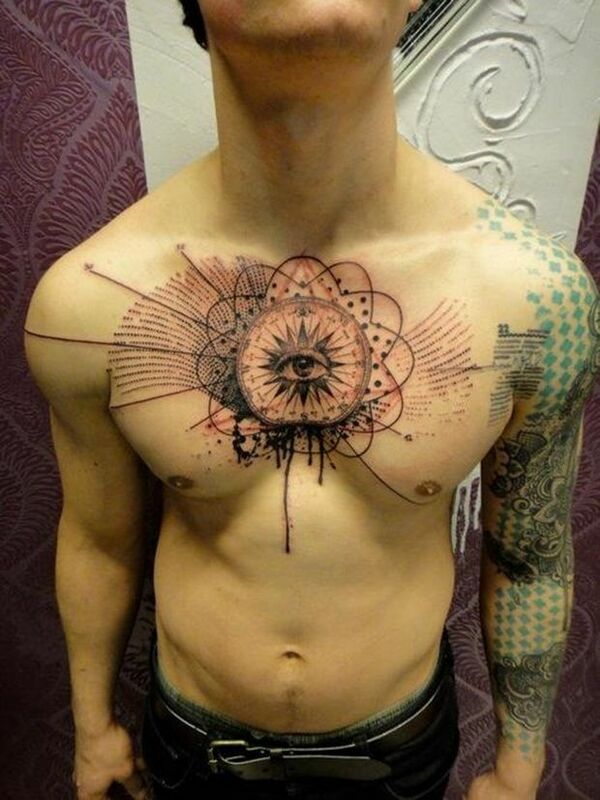 Guy’s chest tattoos can look really good, since the tattooist can depict a lot of things thanks to the huge space. Besides nonfigurative illustrations, it’s possible to draw some fantasy creatures, like an awesome dragon or a griffin. 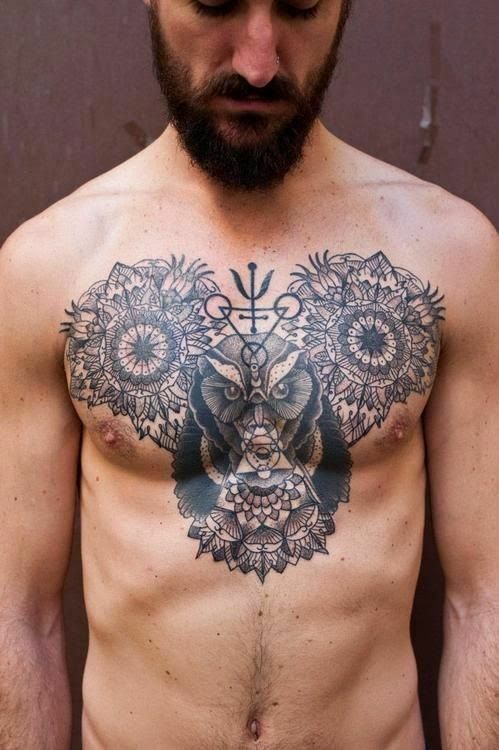 It really depends on the person who wants the tattoo, but the primary point is that chest tattoos for men have a lot of potential. A symmetrical design over the chest with centered text across the the pectorals. Sweeping wisps gather right below the shoulders, extending to the arms and move toward the center of the chest. Diving sparrows create a V-shape that descend into the navel. 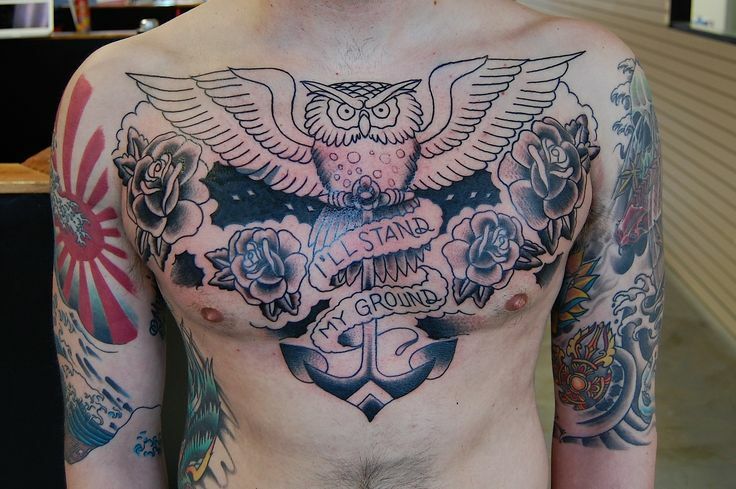 An ornate and detailed bird is the centerpiece of this chest tattoo. Its intricacies are what give this design so much texture and movement. The bird’s wings follow the natural curvature of the pectorals and the eye perfectly centers on the sternum. A large, elaborate moth adorns the upper chest, accentuating and complimenting the design covering the model’s neck. The body of the moth depicts a wailing skull. Red, green, yellow and black hues are accented throughout to emphasize the boldness in the design. A Haunting image of a smoking skeleton resides on the left pectoral and diagonally sweeps into the center upper quadrant of the abdomen. The expert gradient design gives this image incredible depth and detail, particularly in the floral headpiece. This bold image of an angel seems elevated against the skin because of the stark contrast. While the image of a an angel with an open stomach cavity is disturbing, the detail and opulence in the design make it nothing short of beautiful. This portrait of a mermaid defies the natural V-shape of the torso and instead creates a diamond structure. The portrait’s ornate floral border is perhaps even more impressive than the portrait itself because of the powerful punch of color. 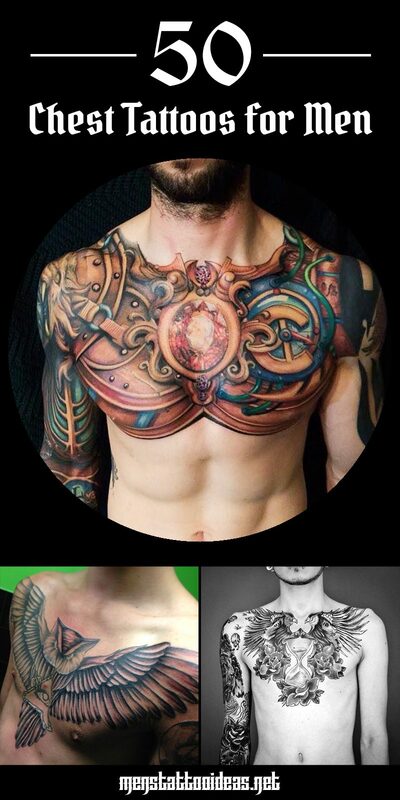 The incredible attention to detail makes this chest tattoo absolutely breathtaking. The design includes an intricate mandala on both pectorals, religious Hindu symbolism throughout and a ever-wise owl at the center, completing the trinity. Whether you want to see this as conjoined twin owls or a mirror image of an owl, that’s up to you. This design is more light-hearted, cartoonish, but its superb coloring and impeccable symmetry are was make this tattoo an eye-catcher. This evil eye mandala is as perfectly geometric as it is random and messy. The top of the design is very organized and deliberate which contrasts deeply with the lower half which emphasizes the bleeding ink and sense of incompletion. Simple and classic, the old-school sailor tattoos will never go out of style for one reason: They are iconic. An open-winged owl drapes the chest, its wings extended past the collarbones. Flowers adorn the outer spaces which cradle the anchor at the center.